ZaZa Maree has been named Miss Summerlin Teen USA. A sophomore at National Connections Academy, ZaZa maintains a 4.0 or better grade-point average in her honors curriculum. She is an active spokesperson for the Cultural Arts Training Foundation and recently organized a walkathon to benefit the CAT Foundation and MAGIC Foundation. A children’s book ZaZa wrote about healthy eating is due for publication early this year. She plans to compete for the title of Miss Nevada Teen USA on Jan. 29. ZaZa is the daughter of Flaminio and Deirdre Malaguti of Las Vegas. 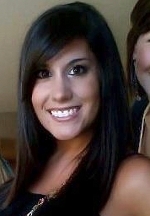 Samantha Novack was named to the dean’s list at Sacred Heart University in Fairfield, Conn., for the fall 2011 semester. Novack is the daughter of Ellen and John Novack of Henderson. Stephen Ludt has graduated from basic military training at Lackland Air Force Base in San Antonio. Ludt is the son of Dolly Sutton of Las Vegas. 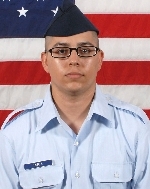 Robert Lopez has graduated from basic military training at Lackland Air Force Base in San Antonio. A 2007 graduate of Bonanza High School, Lopez is the son of Maria Valenzuela of Las Vegas. 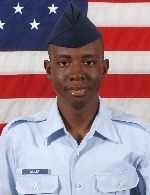 Swade Hill has graduated from basic military training at Lackland Air Force Base in San Antonio. A 2004 graduate of Cheyenne High School, he is the grandson of Ann Hill of North Las Vegas. 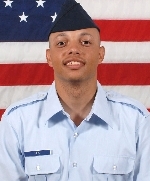 Antoni Miller II has graduated from basic military training at Lackland Air Force Base in San Antonio. Miller is the son of Mary Kelly of Hapeville, Ga., and Antoni Miller Sr. of North Las Vegas. 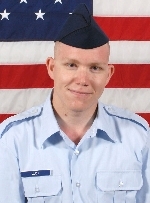 Joshua Peckam has graduated from basic military training at Lackland Air Force Base in San Antonio. Peckham is the son of Tracy Swain of Yuba City, Calif., and Stacy Peckham of Las Vegas. Nickolas Trowbridge has graduated from basic military training at Lackland Air Force Base in San Antonio. Trowbridge is the son of Melissa Lomax of Las Vegas. Dylan Malla has graduated from Army basic combat training at Fort Jackson, Columbia, S.C.
A 2010 graduate of Cimarron-Memorial High School, Malla is the son of Victoria Balmores and grandson of Carol Kamai, both of Las Vegas. Evan Reed has graduated from Army basic combat training at Fort Jackson in Columbia, S.C.
A 2011 graduate of Green Valley High School, Reed is the son of Ranee Tanksley of Henderson. Trever Siedlecki has graduated from Army basic combat training at Fort Jackson in Columbia, S.C.
A 2011 graduate of Spring Valley High School, Siedlecki is the son of Frank Siedlecki of Las Vegas and Christina Krebs of Omaha, Neb. Cuauhtemoc Rodriguez has graduated from Army basic combat training at Fort Jackson in Columbia, S.C.
A 2006 graduate of Clark High School, Rodriguez is the son of Rosa and Arturo Rodriguez of Las Vegas. View welcomes announcements of recent achievements by students who have attended local schools. Please include the person’s name, age, local school attended, parents’ names and city of residence. Send to View, c/o Favorites, P.O. Box 70, Las Vegas, NV 89125-0070, or by email with Favorites typed in the subject line to viewcalendars@viewnews.com. Photos cannot be returned.